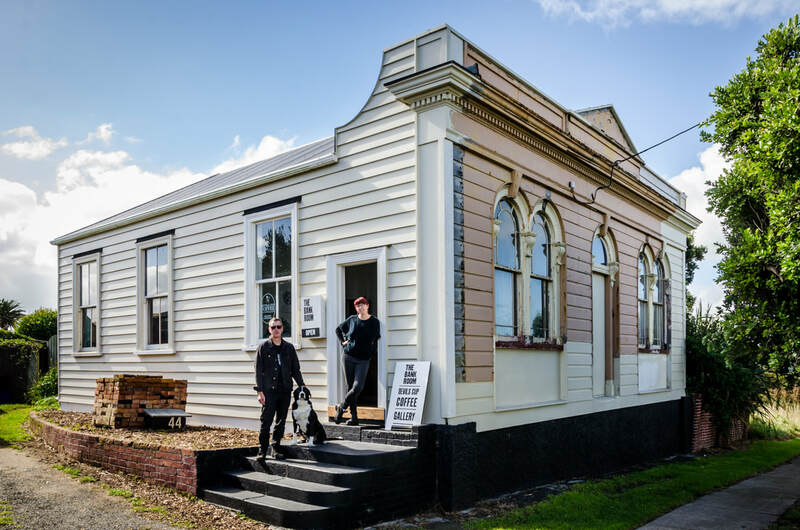 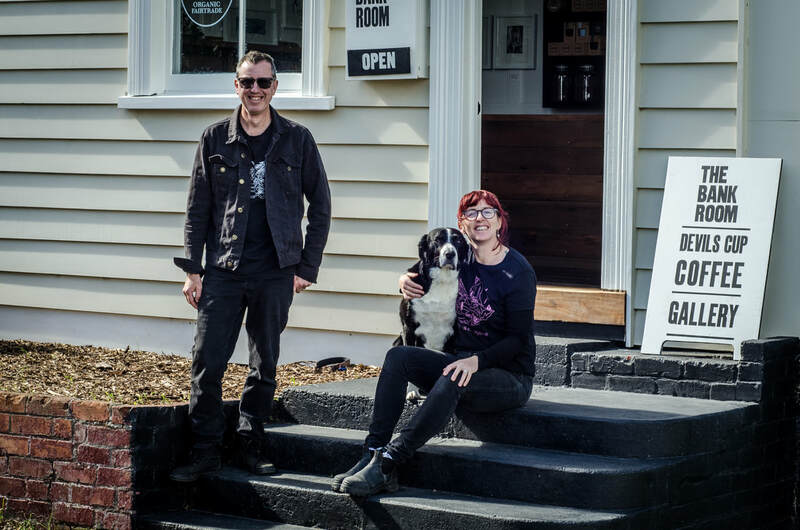 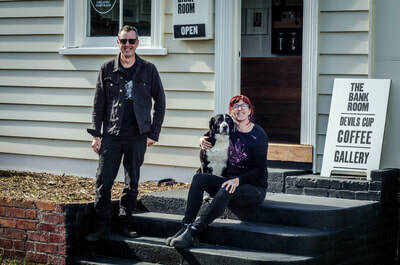 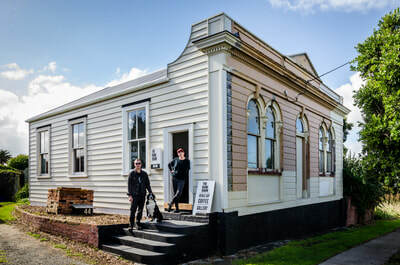 The Bank Room is a collaboration between husband and wife residents Kevin & Michaela, housed in Patea’s old Bank of New Zealand building. 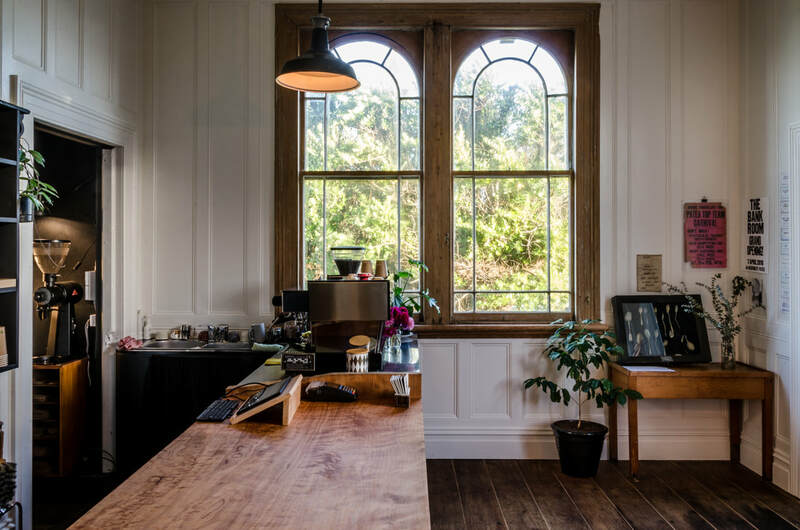 Built in 1874, the room has been restored to enhance it’s hand-crafted features and native wood. 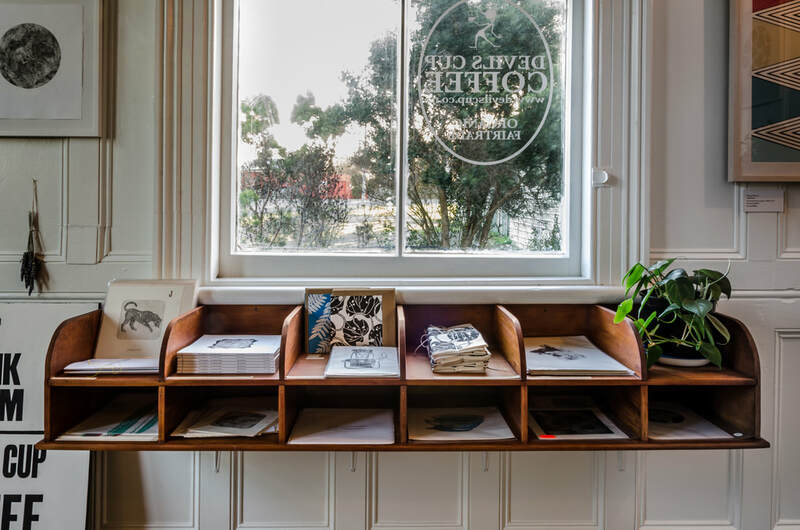 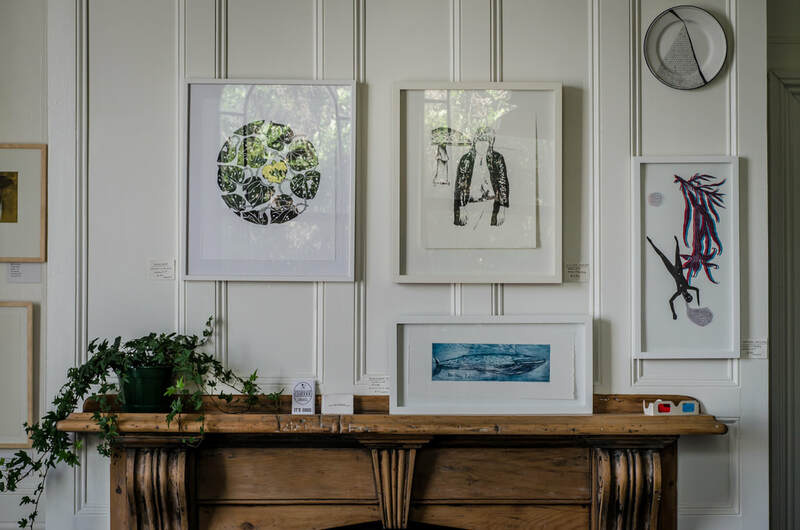 The Bank Room offers fairtrade, organic espresso, roasted coffee beans and a gallery.Guest artists join us each month and our in-house printmaker, MB Stoneman features new work hot off the press. 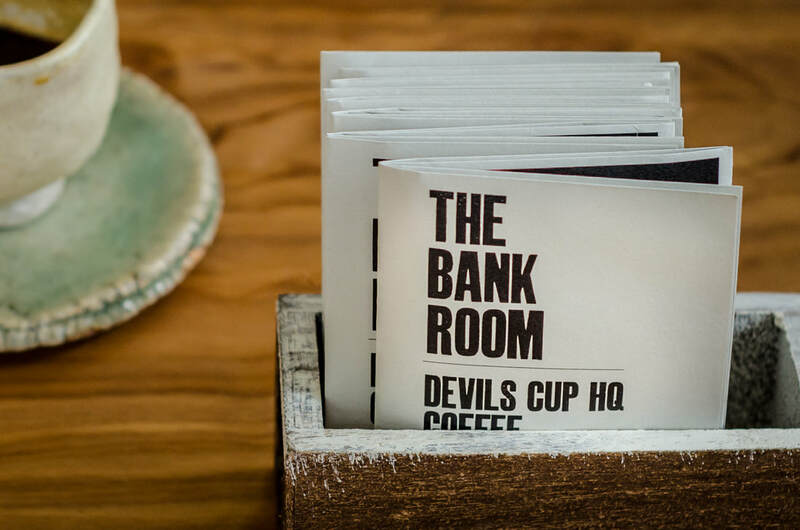 The Bank Room has a focus on ethical and environmental values to ensure our products are good for everyone. 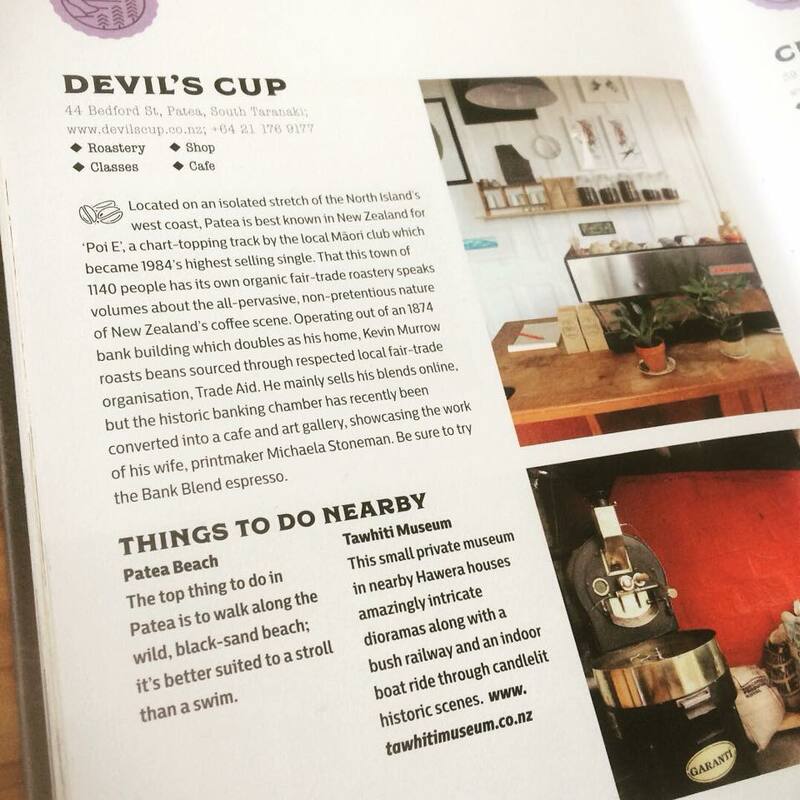 Devils Cup packaging is paper based and our takeaway cups are compostable. 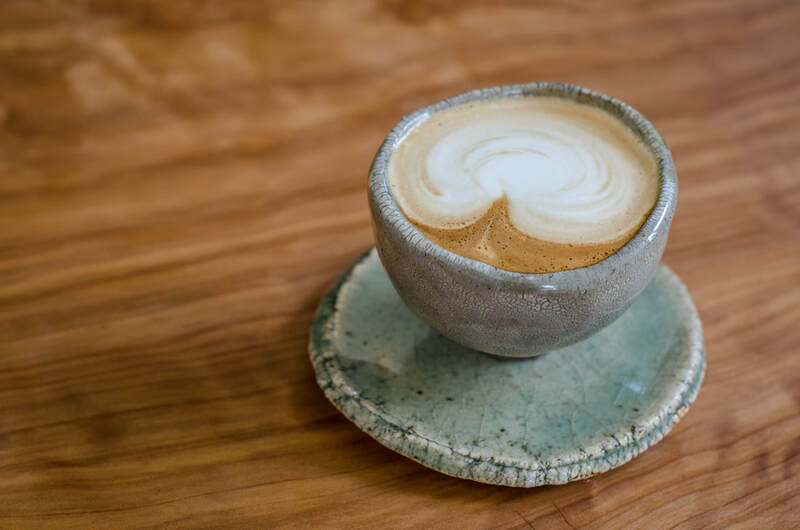 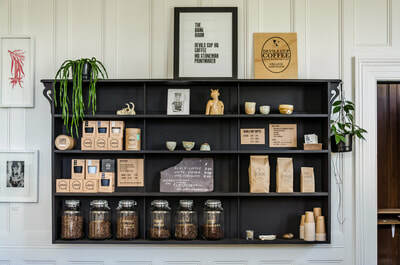 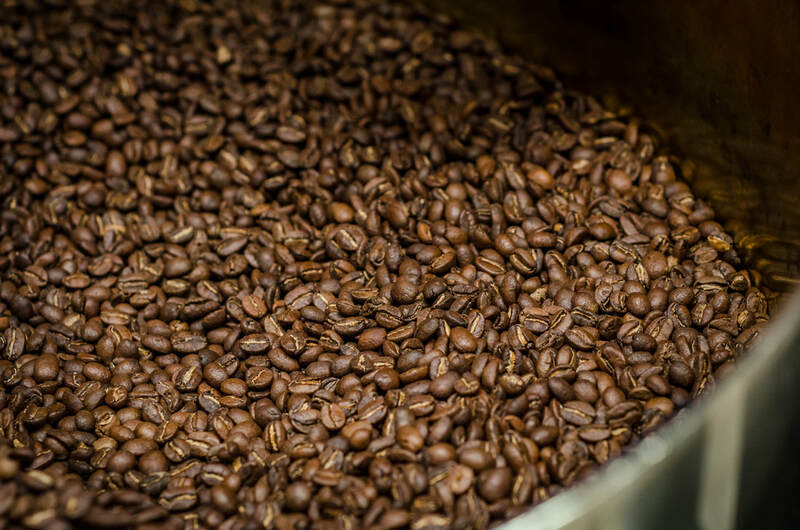 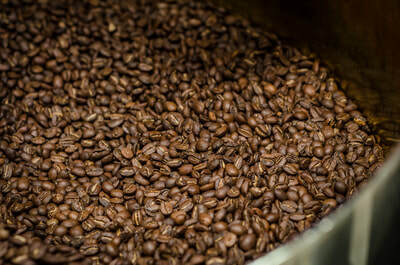 We are stockists of JOCO cups to encourage people to choose a sustainable option for drinking their favourite coffee. For further information, comments or feedback feel free to get in touch.